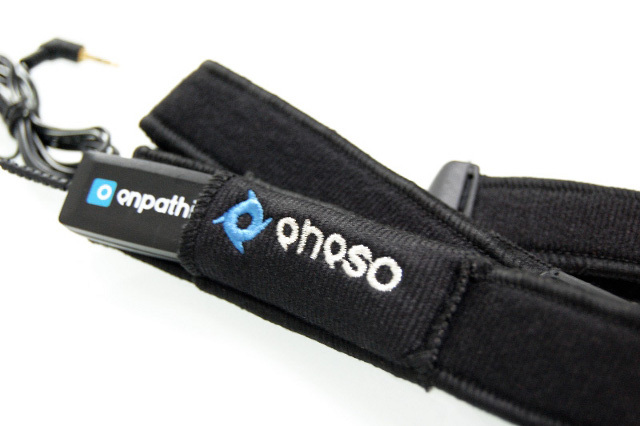 enPathia is a product that makes computer access simpler for people with reduced or null mobility in their upper extremities. It is also a head mouse, but enPathia will not force you into using any particular part of the body. Many people use it confortably with their forearms or feet. EnPathia adapts itself to the way you work, not the other way round. 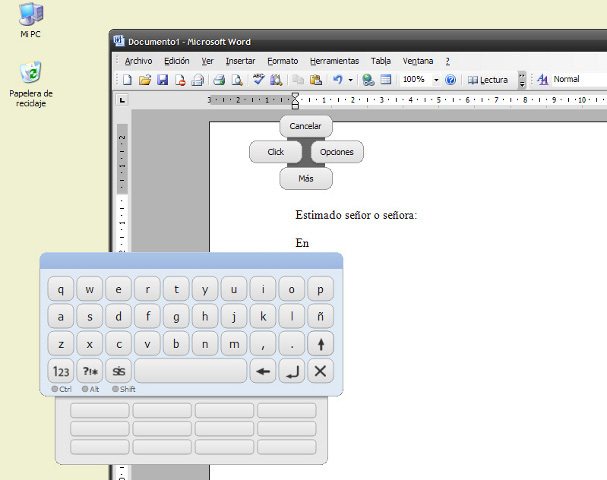 For anyone who does not preserve enough mobility in the upper extremities to use a conventional mouse and keyboard. enPathia was developed together with volunteers with a number of patologies: tetraplegia, spina bifida, brain paralysis, multiple sclerosis... One of the reasons why it is such a verstile and simple to learn system. 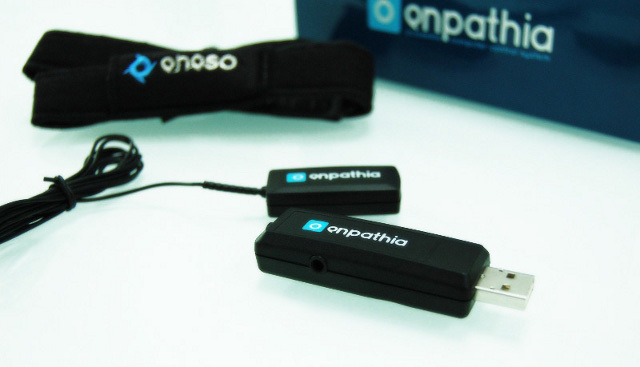 enPathia consists of a small sensor that can be attached with a band to some part of the body. 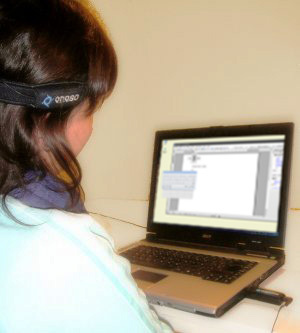 The user just needs to perform gentle and natural movements in order to control the computer. The sensor can be placed at any part of the body and at any position. The system adapts itself automatically to the type of movement that is easier for you to make. What can I do with enPathia? Turn the sensor in any direction (for example, slightly lean the head) and the cursor will move in that direction. In order to left- or right-click, double click, drag, or show a virtual keyboard just stop for a moment on any location on the screen. A menu will show up with all those options, and executing them is as simple as making a gentle movement. You can also use enPathia with one or two commercial switches. enPathia works on computers with Windows, Linux or MacOSX. The only requisite is that it has an USB port.